Sharing creative ideas, how tos, and recipes. A good DIY project here. Not difficult one bit. It does require some patience, or so it seems to me. I have done these in the past of reduced photos of my floral paintings. People seem to like them so I thought I would attempt it for Halloween. A paint brush to apply the gel. A photo of what you want to transfer. First off, make yourself a good photocopy of the piece you want to transfer. I prefer to go to Staples and get a good quality copy from their copiers. 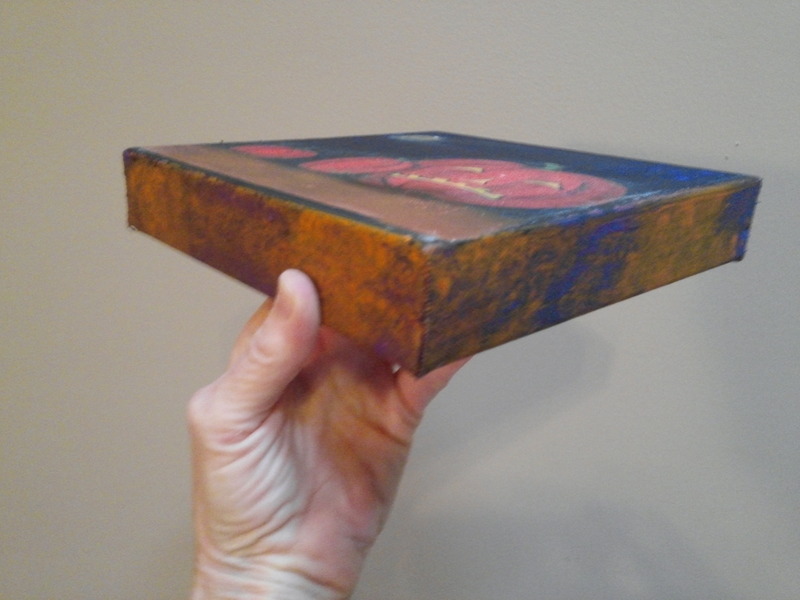 Lay it face side down over the chosen canvas so that you can line up the picture correctly. I crease the sides a little so as to lay it on the gel easier. 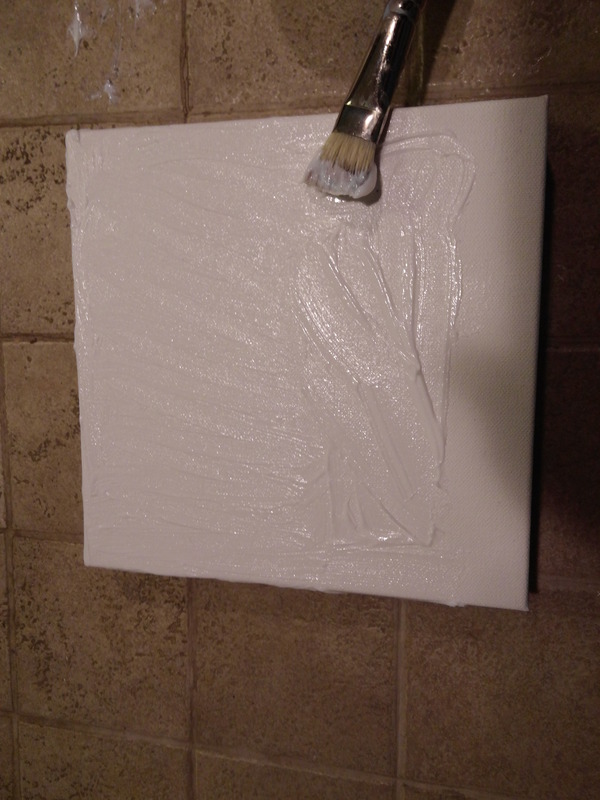 Liberally apply the gel medium to the blank canvas making sure to fill in all the little valleys. Smooth it out so that there won’t be any air pockets created. 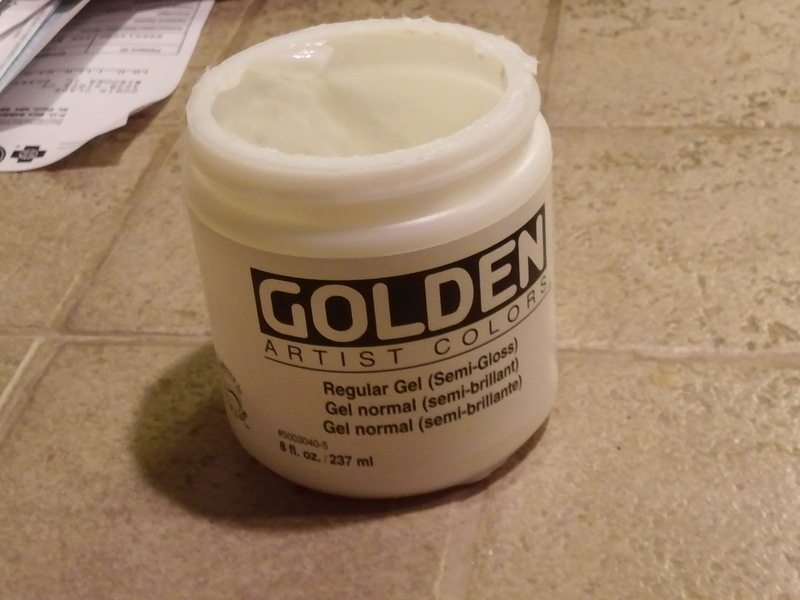 Make sure you put enough of the gel on, about 1/8 inch thick or a little more. It does make a difference. Position the photocopy face down onto the gel, adjusting it to sit in the position that you want. You can slide it around a little with no harm done so no worries there. Smooth it out for several minutes with your fingertips. I find that it adheres much better if I take the time to smooth it out for a few minutes. Once it is adjusted and smoothed down set it aside overnight. It needs to dry thoroughly before you move on to the next step. 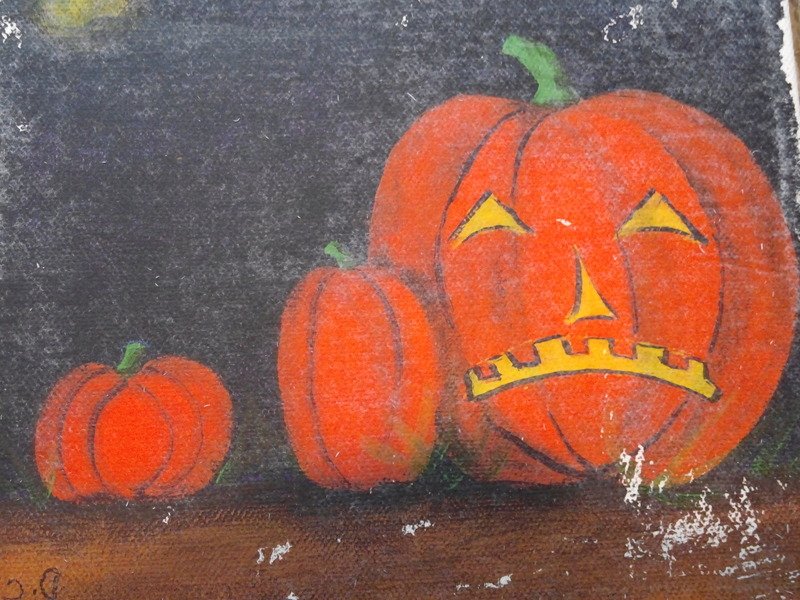 Once dry you can peel off the paper and the transfer will appear. You will need to do this step a few times. Most directions say 1-3 times. I found I had to do at least 5 times. it’s no big deal really, you just want to keep this is mind. 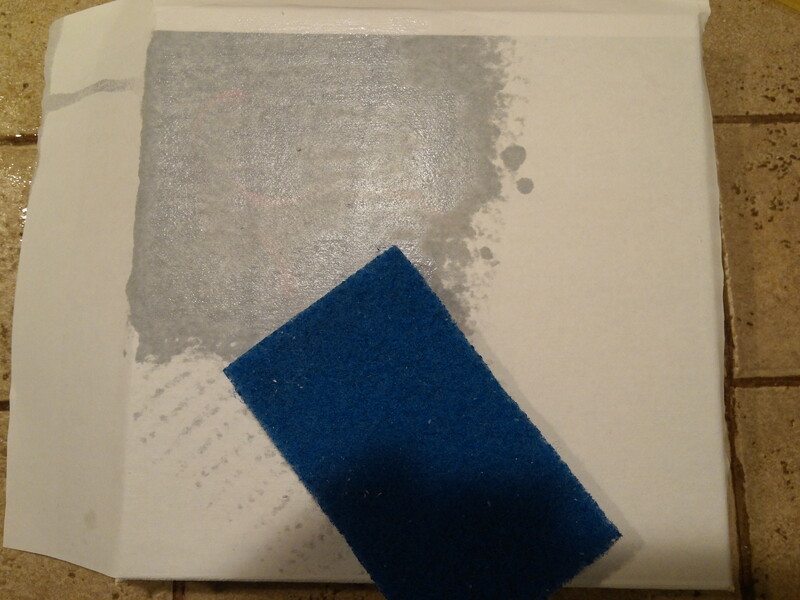 The way to start removing the paper is to use a damp sponge and blot the moisture onto the canvas. You can tell by the picture that it will look significantly different. 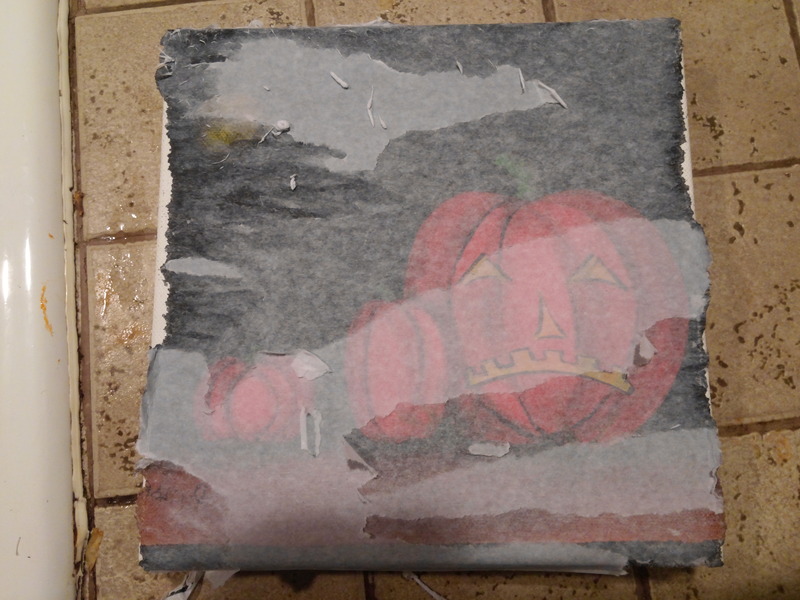 Once all of the paper is removed you can finish the canvas off. 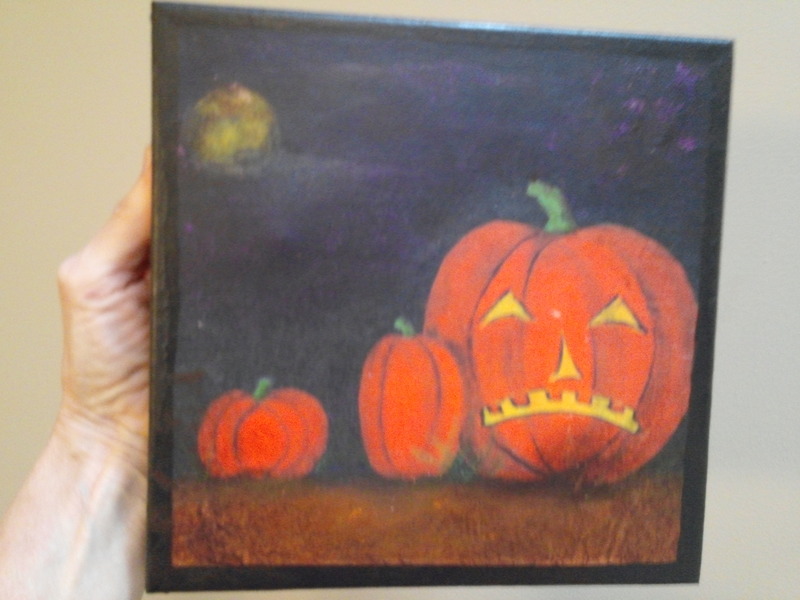 with the Halloween ones I crackled the sides with an orange and purple base and black over it. 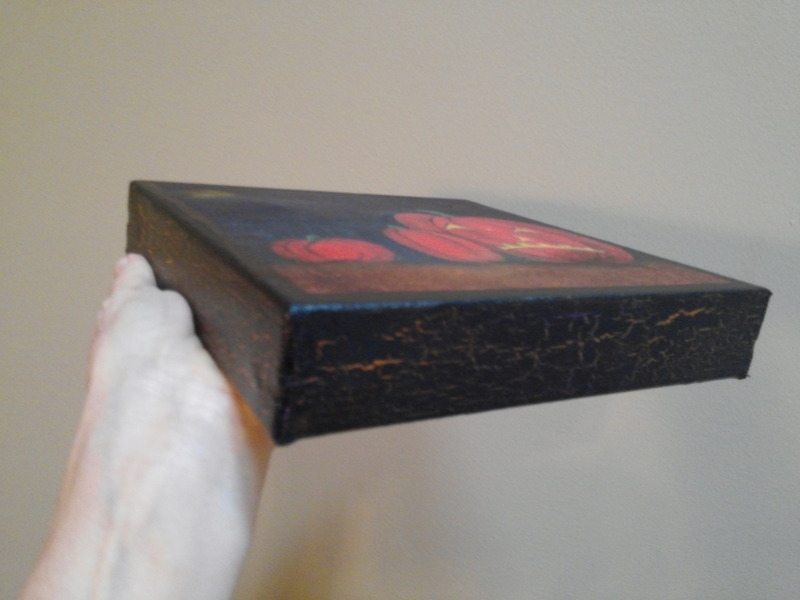 For the transfers of my paintings I gallery wrapped the image. By that I mean that I made the photocopy large enough that it wrapped around the sides. So what are my overall thoughts on the process? I truly love the concept. 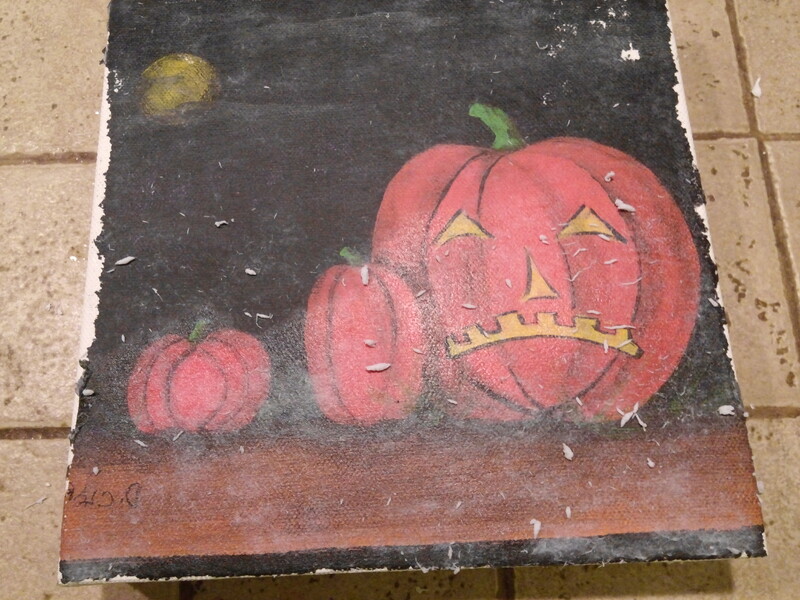 And I will be making more of transfers of my canvases. My Halloween ones? Well, to be honest, with the amount of time that I put into thransfering the images I could have painted them on alot more quickly. A little disappointing? Yes. Will it keep me from using the process again? Not one bit. Here are pictures of my floral canvases done up as transfers. Love them. And I do plan on using this to transfer a photo that I would like to make look old and beat up. I will post on that as soon as I get it done. Is it worth the effort and do I recommend it? Absolutely. I do if you are wanting to transfer something as a gift, or if the original is timeconsuming , such as my oil paintings, or, like I said, if you are wanting to age and distress an old photo. So, if you are at all crafty you can handle this one. Even if you’re not a real creative type. It would make for a great handmade Christmas gift. Very unique. Hope you are enjoying the season!